My 2 favorites-- danggit & bacon! Sharap ng omelette! Mine had mushroom, tomatoes & lotsa cheese! Good morning from PaxAna! We also ordered Azalea's famous hot choco. I love that it's super tasty and the consistency is not too malabnaw and not too thick. It is a taoist temple located on the road going to La Trinidad, Benguet. It's a nice, quiet compound adorned with pagodas, dragons, bells and landscaped garden. OOTD muna hehe. Hi Cha & Nicole! Twinning si Tracy & Mike. Cuties! After the short briefing, Trice and Ana dragged me downstairs and lead me to a room, an area in the museum they said I will love the most. Since it was my first time, I got so excited and believed them. Hate you guys. Hahaha! They surprised me with this Erotica Gallery. Hahahaha! Langya kayooo. Loved the room though! All the pieces were tastefully done. I love it. Draw me like one of your French girls. Wait, pa Laybare or Strip muna ako. Lol. The most beautiful flower ever. Hihihi. Galing ng position.... ng shadow ko db? Hi Trice I can see you! Me lounging at home. Charot! Checked out the Cordillera Gallery which contains tribal artifacts and indigenous crafts from the region. I just had to wear my Bencab for Freeway shirt in Bencab museum!!! Pinaghandaan ko to guys. The museum was huge. Art overload. Love my Freeway x Bencab shirt! Okay na sana lang pantay shorts ko. Haha. Thanks Kat Valdez for our photo! Bonding with Duff, Zedd, Kat. Love you guyshhh. After more than an hour of art appreciation, we decided to take a break at Café Sabel located on the ground floor. The ingredients of the food they serve are sourced fresh daily from BenCab’s organic farm. The cafe’s signature coffee blend, BenCab’s Brew, is also sourced from coffee trees on the farm. Finally saw THE Bencab!!! Took a photo with Bencab in Bencab wearing a Bencab shirt! Bencab-ception! :) Thank you Sir it was an honor to meet you. When I found out that they included Diplomat Hotel in the itinerary, I got excited. The feeling was not mutual with Ana and Tracy, though. Haha! If you read our blogs, you may recall that the three of us (together with our loves Tin Iglesias, we miss you!) visited this place a few years ago and something weird and supernatural happened. Some of us vowed never to step foot in this place again. It was quite an experience. Ano toooo? Bago tooo. Haha. Fast forward to now, it didn't turn out to be that haunting as it was before. I think it's because we went as a group and the place was renovated. There was a even a tour guide inside. They cleaned up the place and fixed the rooms (that were once filled with rubbles) inside. Ang creepy lang the standees when you enter the door! Napasigaw ako eh! Wag ganun Pope. Kuya Guide. The place is more friendly & inviting now. They fixed this area now. This is how it looked like on our frst visit. I wonder why there's no flowers or plants in the fountain na:( This area was nicer years ago. Got scared of the priest and nun na standee sa corner! You could even take a photo with your face ganern. Creepy! And very wrong given then history of the place. Waah. Naloka ako kay John! Haha! Michael: Beshie bat tinitignan mo yan, gusto mo ng Christmas Tree para sa Bloggers United? Lol! My 2 favorite male bloggers! Tara let's go up! This time, I was able to take photos of the 2nd floor na. The air felt lighter and less hostile unlike before. I was still very careful not too make too much noise and kept saying "Tabi-tabi po" over and over again. Loved spending time with Mike will Fly! He's super chill and hilarious. Short history of the place. Tamed version. Haha. Located along Ambuklao Road, Arca's Yard is the home of Ninja Sabado which they turned into a homey & tranquil coffee shop. It is the perfect place to go to when you want to escape from the city's hustle and bustle. Outside & inside, you'd see it decorated with paintings & artifacts--- a little art gallery on its own. Love this area! Overlooking the mountain! So good!!! They even game me an extra scoop of ice cream for my pie. The tea is refreshing. Went back to the hotel to freshen up again and for dinner & drinks! Someone rang our doorbell and the staff gave us these! Sweet. I have no photos from our brief karaoke night but it was epic! Too bad they had to cut it short huhu. Everyone sang and there was so much good vibes and laughter that night. I left early though because John and I wanted to do ukay shopping at Harrison. Success! Went home lugging 3 huge plastic bags full of clothes. All of these for under P1,000! Can't believe it. Went home and found these clingies waiting for me in our suite. Haha! 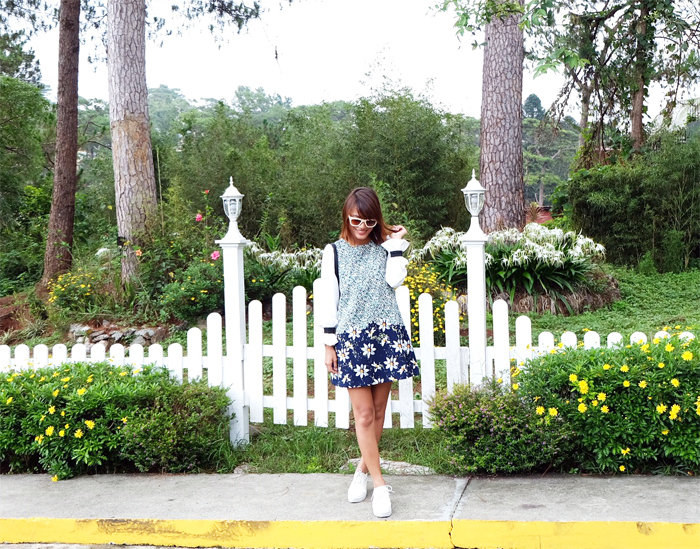 On our 3rd and last day in Baguio, we went to Camp John Hay & Treetop Adventure! It was surprisingly near Azalea. Got suprised that there's a shortcut going back to the hotel haha. Millenials. Wow! Feelingera ko noh? Haha. Anyway, love this bunch! PaxAna album cover shoot by Duane haha! Truly, Azalea is your home away from home may it be in Baguio or Boracay. The whole place, amenities, quality of service is topnotch. Couldn't ask for more! 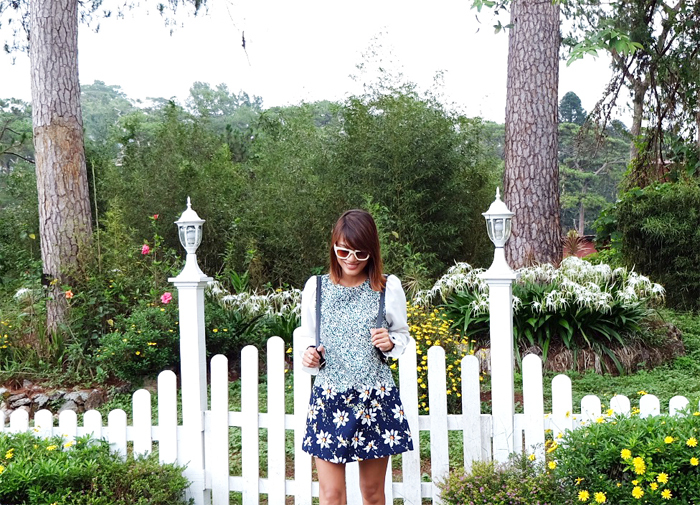 Thank you for an amazing stay and for the 3-day discovery of Baguio! Discovered a lot of new places and I can't wait to share them with my other friends and family. :) Can't wait to be back!